Get Study Notes of Ether including all important topics like preparation of ether using dehydration of alcohol and Williamson synthesis method, physical properties of ether etc for JEE Main and JEE Advanced Entrance Examination 2019. About 1-2 questions are always asked from this topic in the examination. Chapter notes or study notes play a very important role in scoring good marks in engineering exams. Students can easily cover maximum syllabus in minimum time with the help of chapter notes. In this article, we bring to you study notes of Ether including important concepts, name reactions and some previous year solved questions for JEE Main and JEE Advanced 2019. About 1-2 questions are always asked from this topic in the examination. 1. These notes contain the crux of the chapter Ether. 2. These notes are the perfect revision material before examination. 3. 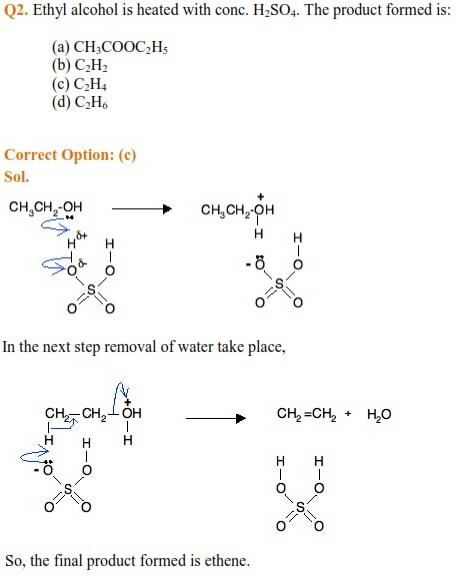 Each reaction and reaction Mechanism has been explained in the simplest possible way in these notes. 4. These notes are based on the latest syllabus of JEE examination. 5. These notes are prepared by experienced Subject Experts of Chemistry. 6. 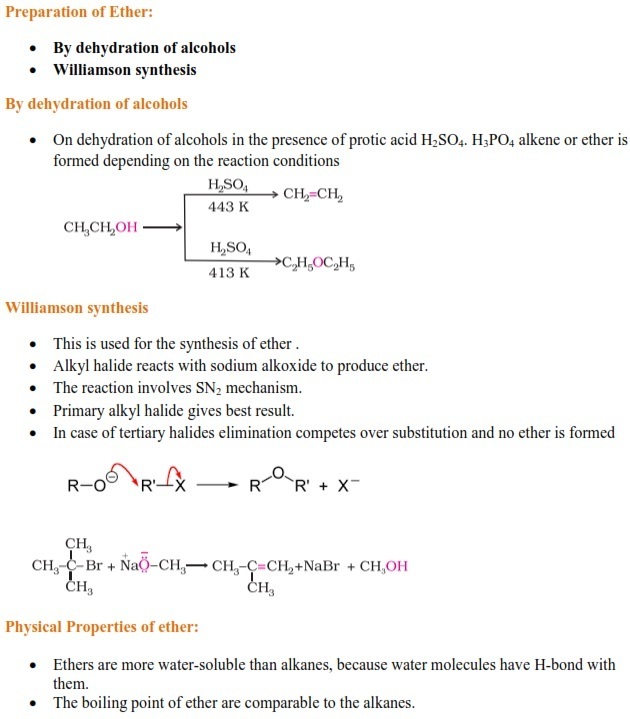 These notes contain all important topics related to Ether like preparation of ether using dehydration of alcohol and Williamson synthesis method, physical properties etc.